Well, here it is at the end of September. Only one day left until the Monster Sketch Marathon. Every day from October 1st until October 31st I will post at least one sketch of monsters on this sketch blog. I have been working on them already, it's been a good project for me, one of discipline and creativity. I'm looking forward to them getting up here. Camels at the Tulsa State Fair? Well, every year at the Tulsa State Fair they have a petting zoo. This is the first time in five years that we have been in Tulsa much less the states in order that we get to go to the Fair. Tonight, we went to the petting zoo. 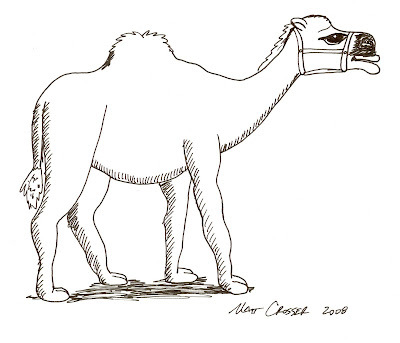 Among the many animals there was a camel. I got some good pics of him and tonight at home sketched him. Here he is. Also, in two days the great monster unleashing will take place, where for the month of October I will post at least one new monster sketch each day. Three days left until the great monster-palooza event. On October 1st, I'll start posting at least one monster sketch per day until October 31st. 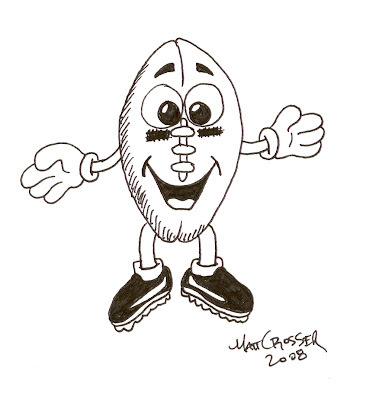 Until then, here is a little guy that I drew tonight born out of inspiration after another University of Oklahoma football win. Tomorrow I may post something drawn from the Tulsa State Fair. Only Four days until the first monster sketches start showing up here. 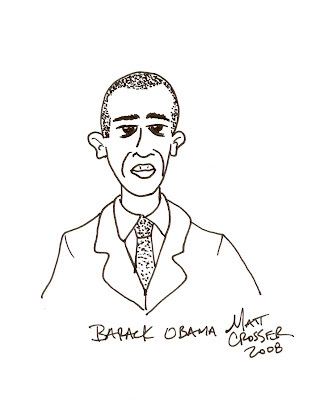 Until then and in honor of the debates, here are some sketches I made while I was watching. 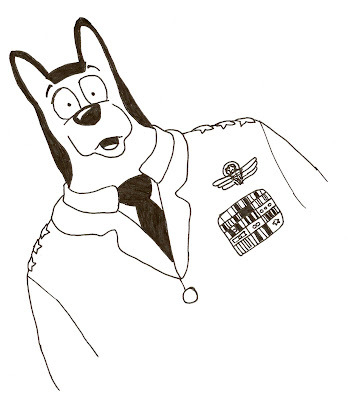 So, we were rooting around our storage and I came across some old drawings. I will end up posting some of these eventually, but one thing I found very interesting. 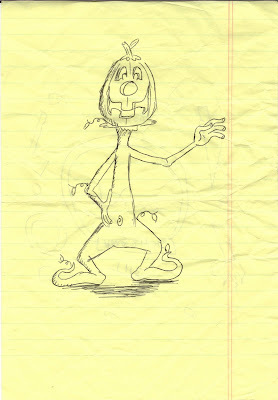 I found one of the original sketches of Jack, from my new children's book, "Jack the Pumpkin Head". Kind of cool to see him since I just finished the book. He is a little fatter in the face, but other than that, he didn't change too much in eleven years. 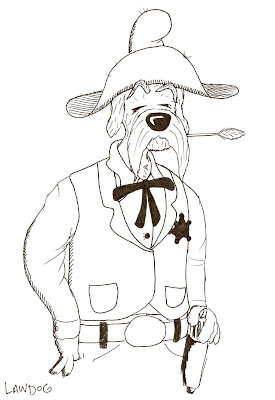 This is an idea I came up with today for an Old West story featuring an old dog as the town's sheriff. Here is the first ink sketch that I made of the "Lawdog"
So, until the October Halloween monsters start going up on the blog, I thought that I would upload a couple other items. 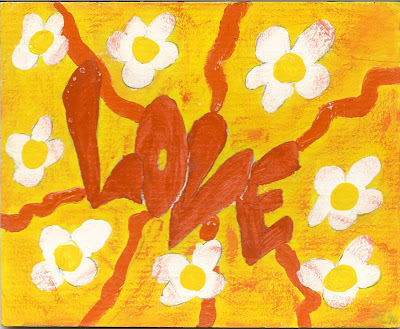 First here is a painting I did in 1996. It is small about 4X6 and done in acrylics. I used pencil to sketch it out first, then painted it. So, in my spare time, I am working on several different projects. Much of which I will share on this blog. Here are a few details. I am working on a black and white comic book that will contain various stories using animals as the main characters in a anthropomorphic way. This is done in the style of Disney comics, Usagi Yojimbo, Teenage Mutant Ninja Turtles and my favorite comic book of the eighties, Critters. Critters actually contained stories from different artists/authors. While that could be possible at some point down the road, at first it will mainly contain stories drawn and written by me. My creative partner, Milton, and I have also talked about him writing for future issues, so hopefully that will come to pass too. It's something I have wanted to do since the mid-eighties and now with lulu.com it is actually possible. 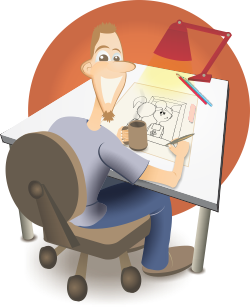 Some of the projects are several children's books that are in various stages of development. Not sure which will be next though. I did order several copies of Jack the Pumpkin Head, one of my latest, for me to take to some area bookstores for Halloween and also to put in my father-in-law's store, Top Hat Magic and Costumes. I love the Fall season, including the weather, holidays, football, fairs, etc.... So for the month of October, I will be doing a personal project. I will be uploading a new monster drawing every day in the month of October. 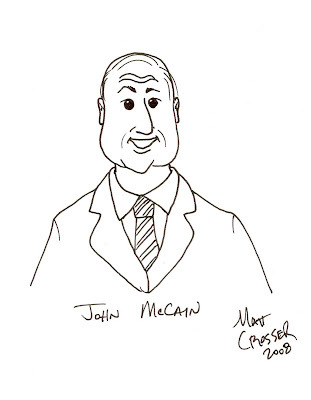 Most, if not all, will be cartoony, but some may be grotesque and other's cute. I have actually already started on these, so that I am a little ahead during the month, if something comes up. Look forward to those. 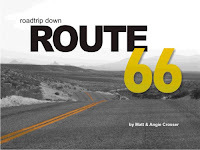 About two weeks ago, I came up with another idea for a book. This one seemed to fly out. It was short and in black & white. 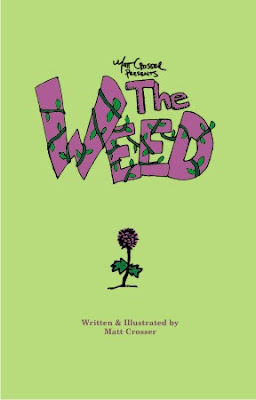 It's called, The Weed. It is up and ready to buy at Lulu. You can check it out at the following links below. Both books are available as digital downloads if you want them now and in digital format. And now, back to the drawing board. Whew! I just finished uploading the final files for my latest children's book, entitled "Jack the Pumpkin Head". It is available for purchase at the following address - http://www.lulu.com/content/3990650. If you have problems or questions about ordering, please feel free to email me at mcrosser@teamexpansion.org. I have had a great time working on this book and feel very satisfied that it is finished. There are some cool background notes. Throughout the book I put some "Easter Eggs". For those who don't know "Easter Eggs" are hidden things in a book, dvd, game, etc... On one page I put the street address of our first home, where I came up with the original idea for Jack the Pumpkin Head. Another street corner represents the home address that I grew up at. On a fence post there is a hidden dedication to Angie. Also, the character Andy has a couple of interesting notes. First of all he is wearing a ghost costume. It is similar but chosen because of my love for Charlie Brown's Peanuts comic strip. One of the best holiday videos in my opinion is "It's The Great Pumpkin Charlie Brown". The second thing about Andy is that while you never see him in the book (due to the ghostly sheet) it isn't the last you'll see of him. He is actually the main character in another story I have been working on since 2002. That story takes place at Christmastime. I have had quite a creative burst of ideas lately, so more things are in the pipeline, but with Jack done, I'll take a little break. Not long, just a bit in order to relish in the completed project. This is a book I started in the Fall 1997, that's eleven years. It's nice to have it done.